Chris is a Seattle native, vocalist, guitarist, and songwriter who toiled in an array of Seattle rock n’ roll, indie, and punk bands through the 1990’s and 2000’s, as leader and sideman. Just a few years before we hit 2020, what better time to embrace the majesty of rock, the pageantry of roll—a bit of pomp to go with current circumstances. Whatever. Against odds and good sense, Chris Mess was born. 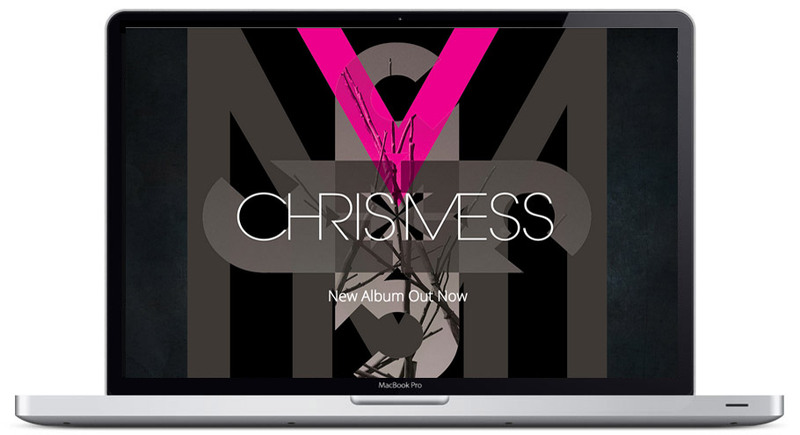 Chris approached Hang Wire with the goal of creating a website as aesthetically arresting as his music. 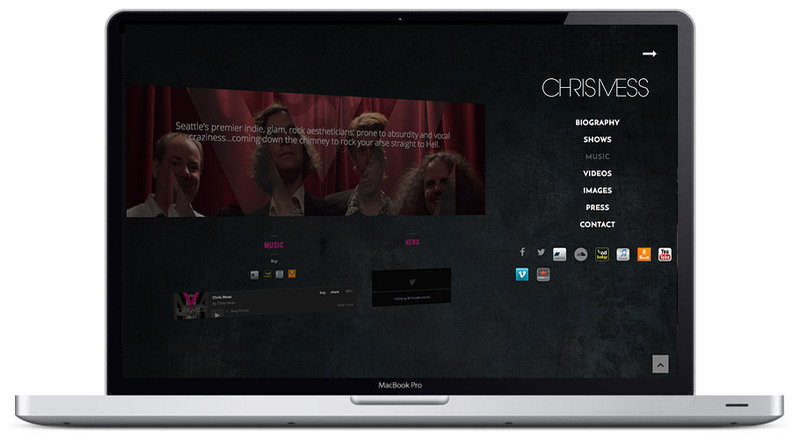 Hang Wire worked with Chris to develop a website design that incorporates streaming music, streaming video, and a multitude of social media streams. Integrating all of these streams seamlessly in the site makes for easy website upkeep for Chris allowing him to concentrate on what he does best, rock!